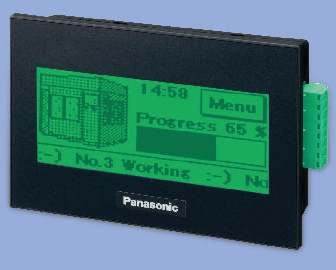 HMI | HMI – System Controls Pvt Ltd.
Industryâ€™s Smallest Class Body Among 3.5 Inch Screen. High Visibility With Three Color Led Backlights. Advanced Functions To Enhance Work Efficiency Like Through Function And Fp Monitoring Function, Multiple Gt Displays Conectivity With Gt Link Function And Enhanced Security Using Password Protect. Gt Win Ver2 User Friendly Interface Compatible With Windows 7, Simply Drag And Drop Parts And User Friendly User Libraries With 4096 Colors 3d Design Buttons. Gt03t-e: 3.5 Inch, 4096 Colors Tft Color Led With Long Life Led Backlight With Built In Sd/sdhc Memory Card Slot ,320 X 240 Dots Resolution, Operational On 24 Vdc And With Mini Usb Port. Gt03m-e: 3.5 Inch, 16-gray Scale Monochrome Tft Led With Long Life Led Backlight With 320 X 240 Dots Resolution, Operational On 24 Vdc and With Mini usb Port. 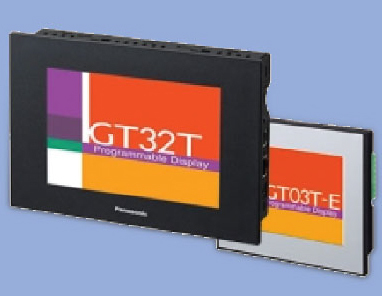 Gt32t-e: 5.7 Inch, 4096 Colors Tft Color Led With Long Life Led Backlight , 320 X 240 Dots Resolution ,built In Sd/sdhc Memory Card Slot,operational On 24 Vdc With Integrated Usb Interface And Transformer Isolated Power Supply . Gt32m-e: 5.7 Inch, 16-gray Scale Monochrome Tft Led With Long Life Led Backlight ,320 X 240 Dots Resolution, Operational On 24 Vdc With Integrated Usb Interface And Transformer Isolated Power Supply. Gt02: 3.8 Inch, High Contrast Monochrome Led With 240 X96 Dots Resolution, Operational On 5vdc Or 24 Vdc , Sd/sdhc Memory Card Slot Also With Mini Usb interface,flexible Sizing And Layout For Switches And Characters With Potrait Orientation For Narrow Spaces.